Shipping all types of batteries is considered risky because they are a potential fire hazard. However, by following the guidance and packaging instructions set out by the regulatory bodies, sending batteries in the post is safe and convenient. 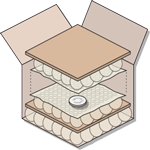 In this article, restrictions and packaging advice are explained to provide a detailed guide on how to send batteries through the post. Some batteries are considered to be dangerous goods because in certain conditions they can cause fires or explosions. Although it is rare, when batteries are exposed to high temperatures or damaged in transit, the results can be catastrophic. In 2010, a fire on a UPS plane was determined to have been caused by lithium batteries. Incidents like this prompted the introduction of stricter national and international regulations for shipping batteries. These regulations protect the general public and the people, vehicles and equipment that handle batteries when they are in transit. Different rules apply depending on the carrier, and whether the batteries are to be shipped within the UK or internationally. Lithium batteries are lightweight with a high power output and a long life. 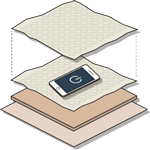 Because of these benefits, they continue to grow in popularity and can be found in many portable electronic devices. 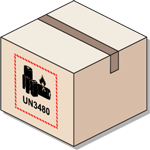 Shipping lithium batteries is considered hazardous because this type of battery is the most likely to cause fire or explosion if packed incorrectly. In 2013, regulations were introduced by the International Civil Aviation Organization (ICAO) and the International Air Transport Association (IATA) to make shipping lithium batteries safer. No damaged batteries can be shipped. Batteries must be packed and labelled correctly. Certain types of battery must be sent with a State of Charge (SoC) of no more than 30%. Even though there are restrictions, it is possible to ship lithium batteries as long as the regulatory guidelines are followed. Carriers each have specific guidelines based on current shipping regulations. Failure to follow the carrier’s instructions could result in a parcel being rejected, returned or uninsured during transit. In the worst case scenario, it could lead to prosecution of the sender. Decide if the batteries will be contained inside electrical equipment or packed separately but together with the equipment. Confirm the total number of batteries to be posted. Inspect each battery to make sure it is undamaged. Check the watt-hour (Wh) rating of each battery, which is given on the outside of every battery. As a guide, a lithium battery in a mobile phone or laptop will not normally exceed 100Wh. 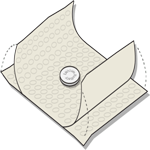 Find out the approximate weights of the items to be posted. A maximum number of lithium batteries per package. This is often the number of batteries connected to the electrical equipment and up to two spares. A maximum Wh per battery. There is usually a limit of 100Wh per battery. A maximum weight per parcel. There could be a limit on the weight of batteries or electrical items per package, or a maximum parcel weight. The carrier may need packages to be labelled with lithium battery handling labels or signed customs declarations. Ensure there are enough suitably sized boxes available so that none will be under or overfilled. The box in a box packing method is mandatory for some consignments, so if this applies, source additional boxes. Ensure there is plenty of bubble wrap and parcel tape available. Wrap individual batteries, such as spares, in bubble wrap or other protective material. Each battery must be completely enclosed and protected against short circuit. Check electrical equipment is switched off and wrap well, making sure that it cannot be accidentally powered on. Pack electrical equipment and any spare batteries in rigid packaging, like a cardboard box. The inner contents must be prevented from moving by using cushioning material. Seal the boxes with parcel tape and affix lithium battery handling labels, if requested. 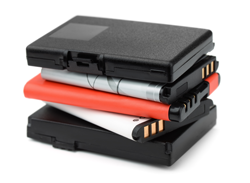 Lithium batteries must be contained within electrical equipment, like inside a laptop. No more than two batteries (or four cells) are allowed per package, and no more than two packages per consignment. The batteries cannot exceed 5kg in weight per package. Each battery must be under 100Wh, with each cell under 20Wh. It is only possible to ship batteries by themselves if they are NiMH or NiCd. Parcels should be wrapped according to ParcelBroker’s packaging guidelines. If there are any queries, help and advice is available via email, phone or WhatsApp text chat. Although shipping lithium batteries is considered dangerous, the regulations and guidelines have been carefully devised to minimise the chance of fire and explosion. These focus on correctly packaging batteries for shipping, which drastically reduces any risk.